It’s that time again! 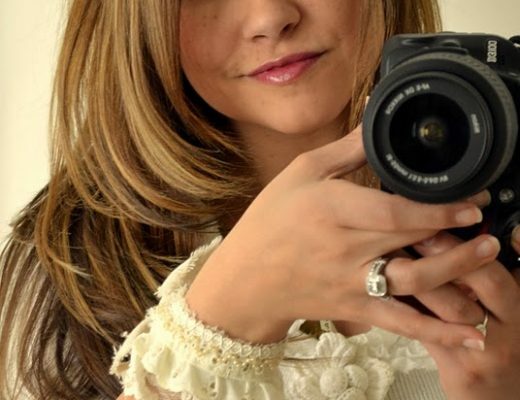 Welcome to the blog hop featuring 10 of our favorite creative bloggers. 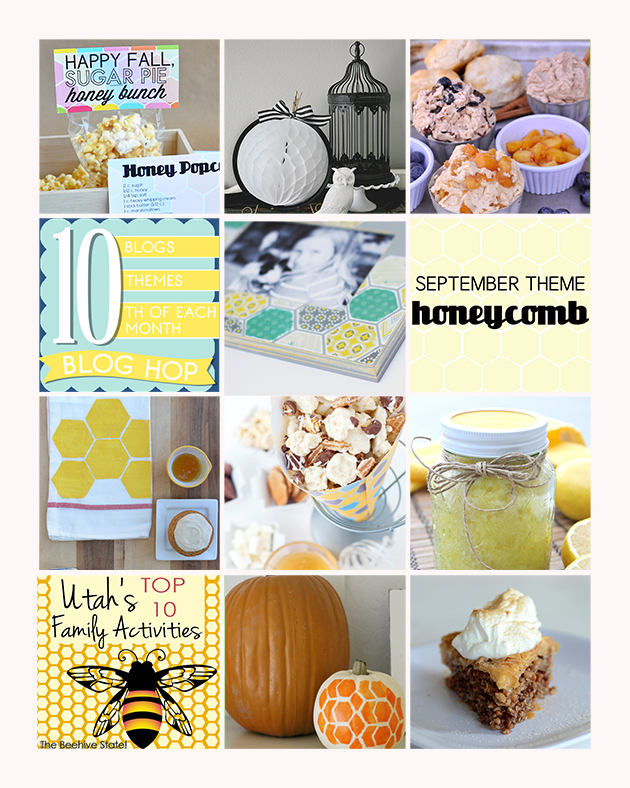 This month’s theme is all things HONEYCOMB. There are so many fun projects to choose from- recipes, decor, Halloween related and more! 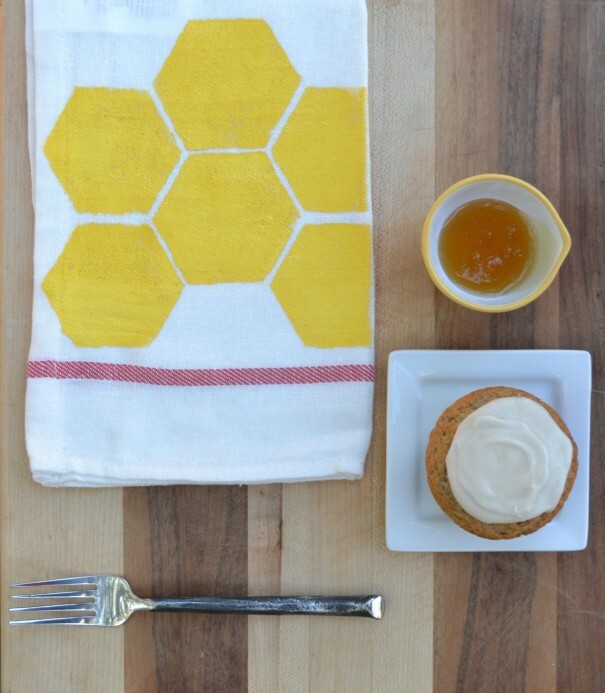 We’d love for you to pin the collage below, check out my Honeycomb Dish Cloth Project and then go see all the other fabulous projects created by some of our friends. Make sure to come back on the 10th each month for more. A simple dish towel. I bought this one from Ikea for super cheap. Fabric paint or acrylic paint combined with a textile medium (also found on the paint aisle). 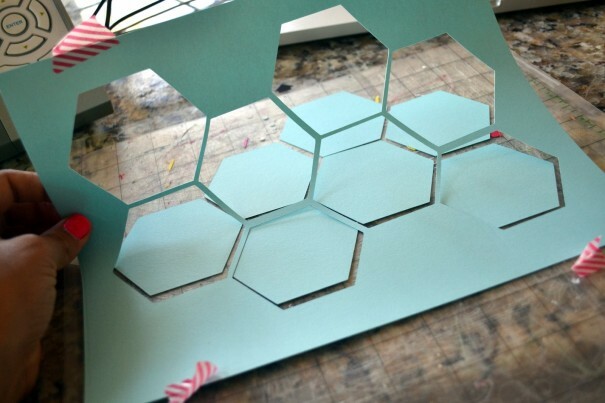 Thick cardstock to make a honeycomb stencil. Craft cutter such as a Silhouette. 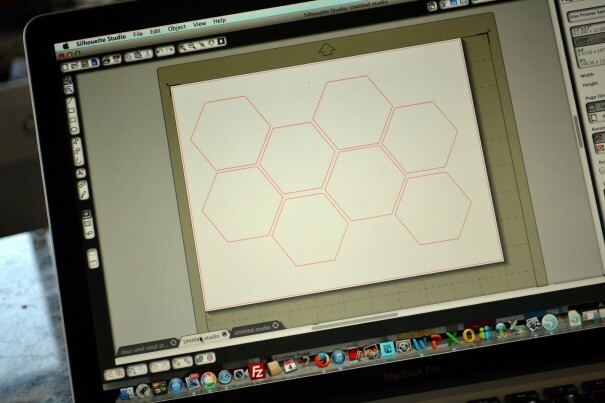 I used my Silhouette to cut out a Honeycomb stencil with cardstock. 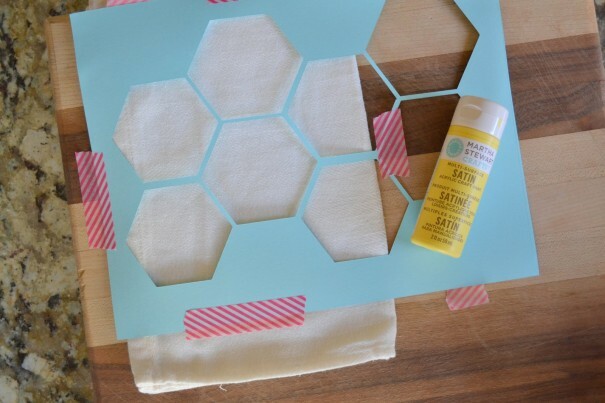 I used washi tape to secure the stencil in place. Painters tape would also work well. I was out of sponge paint brushes so I actually put paint on a paper towel and dabbed it onto the dish towel. Because the stencil had such thin lines I had to be very carfeul to work slowly and hold down the skinny pieces with my hand as I painted. 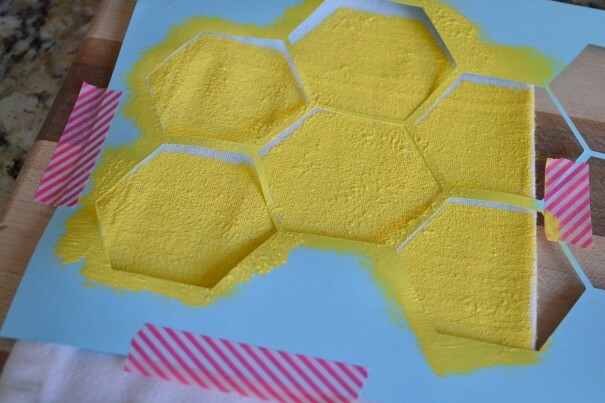 Then I lifted the stencil carefully and allowed the paint to dry. That was it. I would love to make a set of these in a bunch of different colors. I think it would make a fun house warming gift. I have a slight dishtowel addiction and this is too cute! 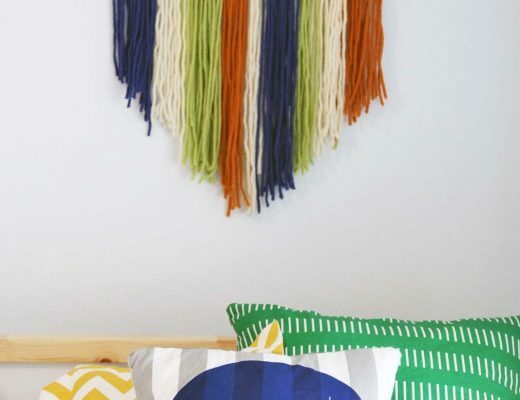 I love that and especially the idea of a bunch of colors for a gift. Maybe along with a jar of local honey. Also thinking that a smaller print on some onesies for a newborn gift would be stellar. You’re back!! Glad to see another cute post from you. 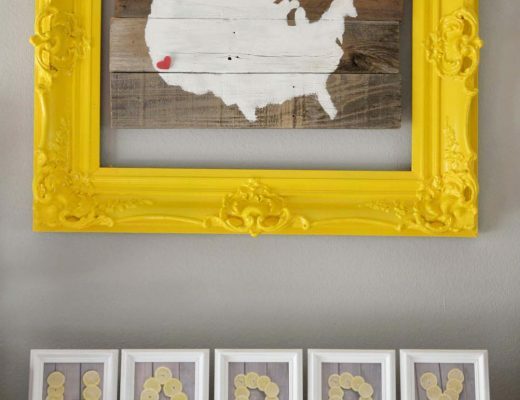 Love this idea as a housewarming gift! This a great idea! I’m always looking for fun dish towels. There are so many possibilities with this! Super cute, Ashley. Love the yellow+white combo, adorbs! 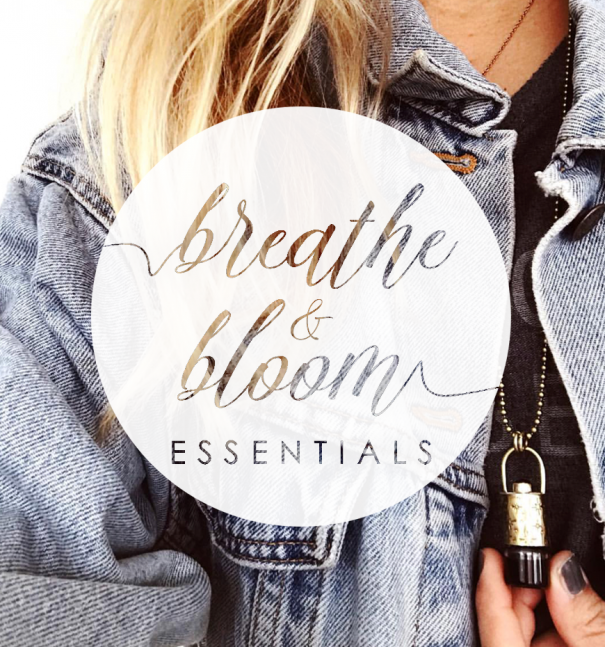 I love this idea and I am so glad to see you back in blog land. Would love to see some pictures of the boys to see how much they have grown. Super cute! The yellow is perfect!!! 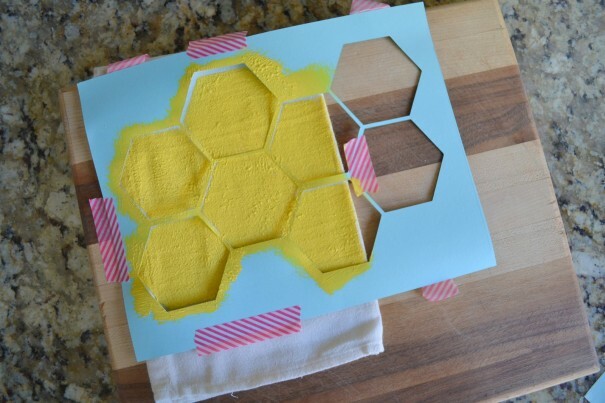 Such a simple project, great for friends gifts, too! Love this! Simple but oh-so-cute. Thanks for the idea!